The guitars I make are very different from any other guitar you have played. As a builder who has given my life to lutherie, I am dedicated to building the most optimally responsive guitar possible. The process of ordering a Kraut Guitar begins with a dialogue about your personal preferences and what you ideally want from your guitar. You'll start with personal choices like body shape, wood selection, and design opportunities that reflect the intersection between you and the Kraut Guitars aesthetic. 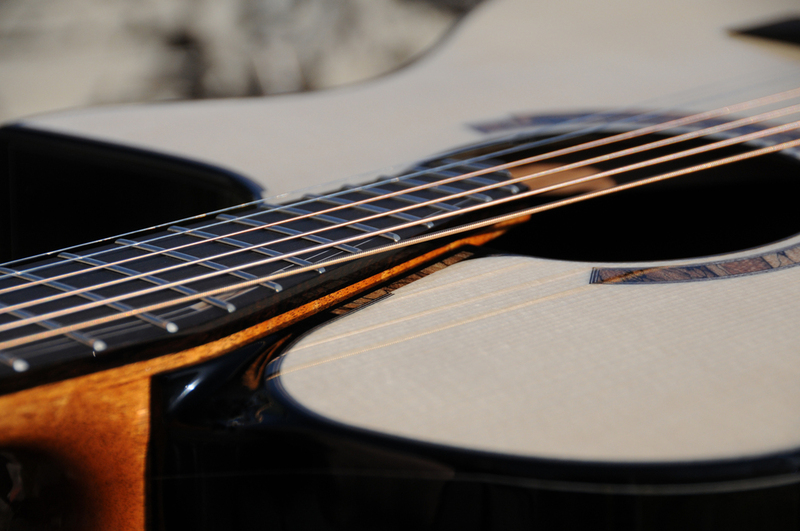 Kraut Guitars are each built as custom commissioned orders, to each owner’s individual specifications. With each new order comes a waiting period, design approval process, and finish time before final delivery. Occasionally, Kraut Guitars will have instruments for immediate sale. For example, I might receive an instrument from clients who have decided to upgrade or switch to another Kraut Guitar model. I will be selling these guitars directly, as pre-owned instruments, with some added benefits. Each instrument will be inspected and evaluated to ensure the condition is like-new unless otherwise described in the listing. One unique benefit to these instruments is that – just like a newly-purchased Kraut Guitar – that they will come with my full warranty. Also, of course, these are available to be shipped to you immediately.